particularly for those crops that heavily depend on cross pollination for fruiting of which cucurbit happens to be first. Due to the alarming surge in global population, a dire need to feed same and a threat to food security; it is understandable that there is a need to develop crop protection products. These products are meant to help farmers combat insect infestations, diseases etc. Unfortunately enough, some of these products also harm Mother Nature and kill beneficiary insects and micro-organism. Some crops like cucurbits family (Cucumber, watermelon, squash, pumpkin and cantaloupe) has imperfect flowers formation and can either be monoecious and dioecious in nature. What this means is that, they would heavily depends on external influence for pollination. Among the agents of pollination, bees and other beneficiary insects do over 70% of the work. Understanding the need to use ONLY narrow spectrum insecticide when these crops start flowering would not only help to prevent death of these goods insects but also determines the yield and by extension, the profit. 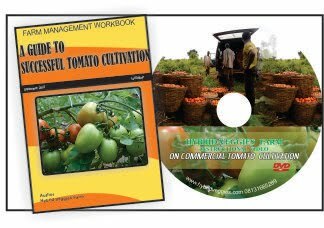 In a nutshell, as a farmer, when you intend to cultivate any veggies particularly those within the cucurbit family, it is essential you choose your insecticide carefully. When the crop is in seedling and post seedling stage before flowering, you may decide to use broad-spectrum insecticide but once flowering stage commences, you must change to narrow spectrum insecticide. Though, the latter seems more expensive relatively and are often manufactured by some notable global agrochemical companies in the likes of Bayer, Sygenta etc. but it is more than worth buying such products. Boosting flower formation: Bees and other beneficiary pollinators have no business on your farm. You may be wondering what I meant. I meant that they have no business on your farm! What actually attract them to coming to your farm are the flowers. Which means – the more flowers you have; the more the bees. Flower formation by nature would incur in any veggies design by nature to flower at some points but this can be greatly enhanced. 1. Use of potassium based fertilizer: In other to enhance flower formation, introduce the use of potassium based fertilizer at post vegetative stage before the start of budding/flower formation. This helps in boosting flower formation. Example of notable potassium based fertilizers are MOP, Potassium Nitrate and NPK 0:0:18 or 0:15:15). 3. Use ONLY narrow spectrum insecticide: It is essential you shop for narrow spectrum insecticide to be put use during flowering stage. For the sake of certainty, you may want to check the bottle label yourself. It would be stated on it if it is a narrow spectrum insecticide. Example of active ingredients in this class are spirotetramat, flubendamide. 4. Understanding spraying time: Even if you must use narrow spectrum insecticide, spray only toward evening please. Bees are mostly active in the morning, spraying your farm around this time may indirectly harm them due to concentration effect and also disturb the flow of their activities. 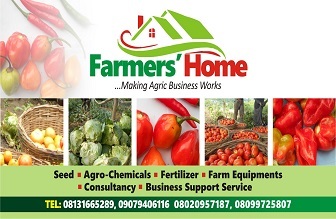 I strongly believe you now have a better understanding to putting insecticide to work on your farm and making nature and farming activities to be in sync. Please do feel free to contact me for further information specific to your need. Thank you.